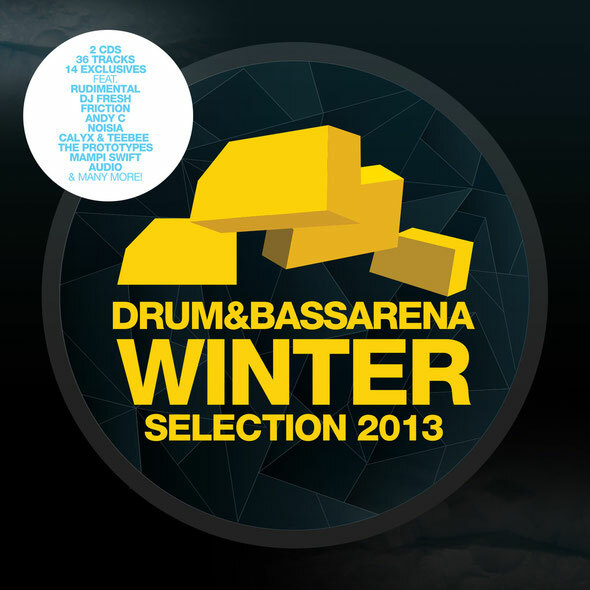 Drum&BassArena has successfully championed the genre through its website, global events, live streams, annual awards and album releases for over 17 years and now the brand is launching its new winter series, ‘Drum&BassArena Winter Selection 2013’. Out 24 November, the brand’s inaugural winter selection features 36 tracks including 14 exclusives from The Prototypes, Serum, Wickaman & RV, Modified Motion & Faction, A.M.C & LoKo, BTK, Teddy Killers, Total Science, Rollz, Dub Motion, Maztek, Need For Mirrors & HLZ, Hypoxia and NC17 & Saxxo. Each one is weaved amid contributions from other drum & bass acts such as Andy C, Noisia, Rudimental, Phace, Calyx & TeeBee, Fresh, Mampi Swift, Nu:Logic, Cyantific, Mediks, Break, Emperor, Foreign Concept & Stray, Ulterior Motive and more. Drum&BassArena's support for the genre continues at its fifth annual Drum&BassArena Awards at London’s Electric Brixton taking place on 5th December 2013.